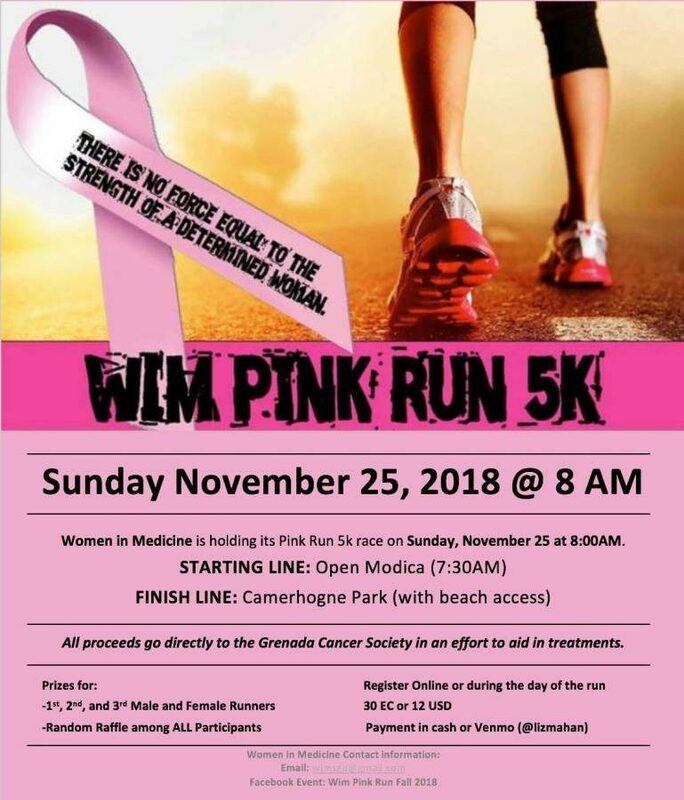 The students of Women in Medicine (WIM) of St George’s University School of Medicine cordially invite the island of Grenada to join us in the 5K Pink Run/Walk on Sunday, 25 November 2018. WIM is an organisation that advocates for the interests of women in medicine, particularly physicians-in-training. We promote women’s health, emphasising well-being and autonomy, and we work for the inclusion of women’s health issues in medical school curricula and continuing medical education. We also work to affirm the basic right of reproductive freedom and to educate women to become full participants in their own health career. Each semester we host events and workshops to benefit students, staff, and the community. 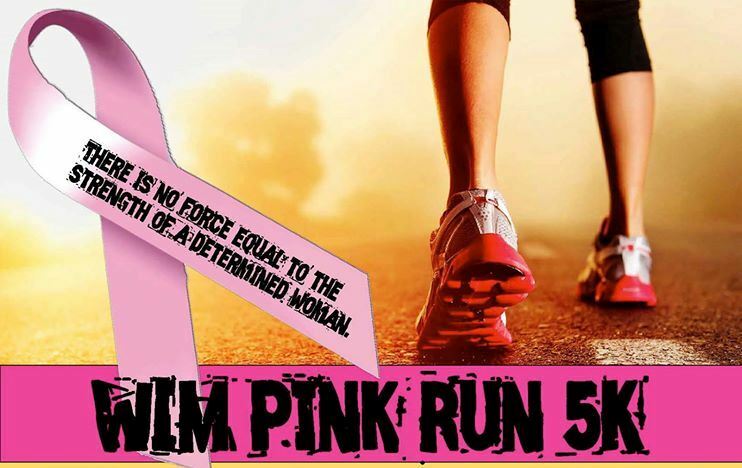 One major event we host each semester is the Pink Run, a 5K walk/run to support the Grenada Cancer Society’s efforts towards bringing better breast cancer diagnostics and treatment to the community. This walk/run traditionally starts on campus, and this year, our destination is Camerhogne Park. Our walk/run will start at St George’s University Campus at Open Modica Hall and will end at Camerhogne Park. There will be raffles for prizes given to each participant and prizes for 1st, 2nd, and 3rd place. Pets and children are welcome. All proceeds will go toward the Grenada Cancer Society to support breast cancer diagnostics. 2) In person at Open Modica Hall at 7:30 am on the day of the run! We want to share our event with you, which aims to promote unity on campus while spreading awareness and raise money for breast cancer. We hope to see you there! All women should consider performing a monthly self-breast exam beginning at the age of 20 to better recognise changes, such as abnormal lumps, discolouration, discharge, dimpling, and asymmetry. 5-10% of breast cancer is hereditary through inherited mutations of BRCA1 and BRCA2. This means you are at average risk of breast cancer even if you do not have a family history of invasive, ductal, or lobular breast cancer. Be in charge of your health and make it a habit to perform self-breast exams!